Autocoat has designed & developed wide series of LAB BOOTH designed to fulfill stringent pollution norms as well as with amazingly low running cost. 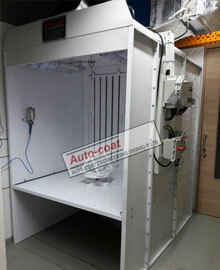 Autocoat is Manufacturer & Exporter of LABORATORY BOOTHS . Autocoat Lab booths are built to last: with the quality appearance, 100% assembly & Trials in-house ensure guarantied performance as well as at customers place. 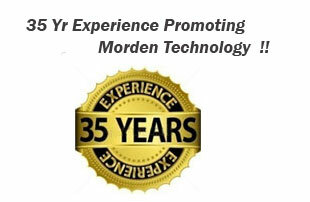 Autocoat computer generated labels & lamination, detailed drawings and well documented Manual will save you time and money when it comes to use of Laboratory Paint Booth effectively during its lifetime. AUTOCOAT DRY LAB BOOTH is ideally suitable for Samples of all Non-sticky overspray like Air Dry Paint / Quick Drying Polyurethane Paint or similar Paint which produces Non-sticky over-sprayed Paint Particles. Autocoat Rubber Bonding Spray Booth is also popular with Design changes & many Rubber Bonding Paint Booths are in use OEM in India. While Submission of Quote Autocoat insists to collect office Room Plan for technical suitability of performance especially if the Lab room is closed Type with the starving for air intake. Each quote is given with AutoCAD Drawing. 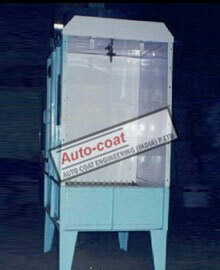 Autocoat Engineering is the most experienced Laboratory Booth Manufacturer in India since last 35 years. Autocoat Engineering have been manufacturing superior quality LAB BOOTH IN INDIA among other valuable products .We have wide experience of manufacturing lab Booth with different material handling and different product size , and different production volume.